It's cooking time! This article is all about the main recipe screen that you'll be using each time you decide to cook. 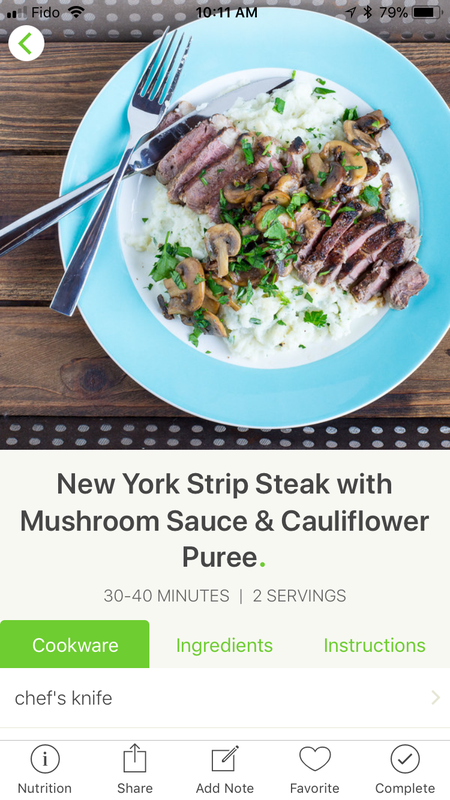 On the Meal Plan screen, tap the card of the recipe you want to cook. 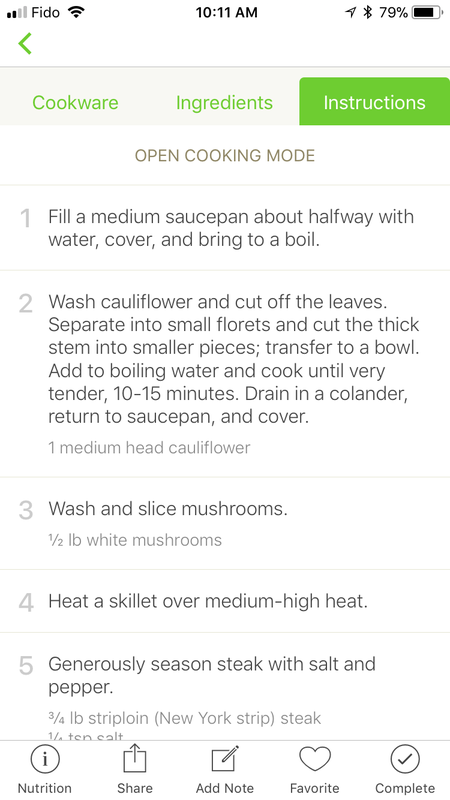 This will bring up the recipe screen. 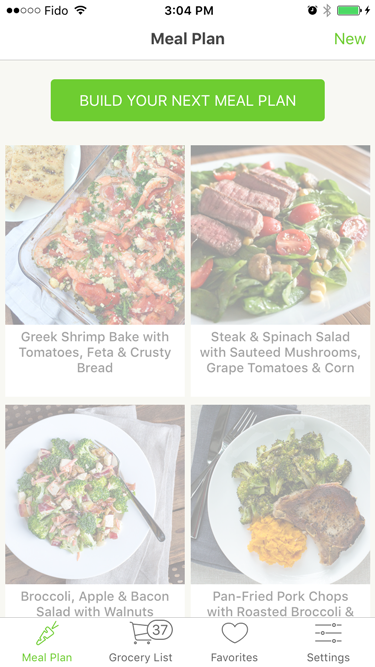 You'll notice that we've organized each recipe so you can cook them as fast as possible without being bogged down by too much information. Open this tab first and get out all the cookware required. It will save a ton of time (and stress) rather than rummaging around in drawers while you're cooking. Just like you did with the first tab, open this up and get out all the ingredients you'll need. Put them in a large bowl or set them out in front of you and it'll make cooking that much simpler. Once you have cookware and ingredients laid out, this tab will be the one you spend the most time in. 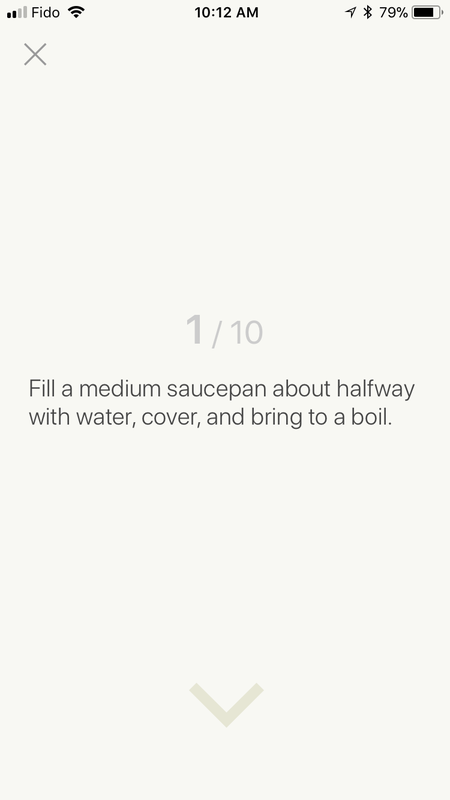 Follow the simple instructions and you'll have a tasty dish ready to eat in 30 minutes or less! To open a dedicated Instructions view, tap Open Cooking Mode. 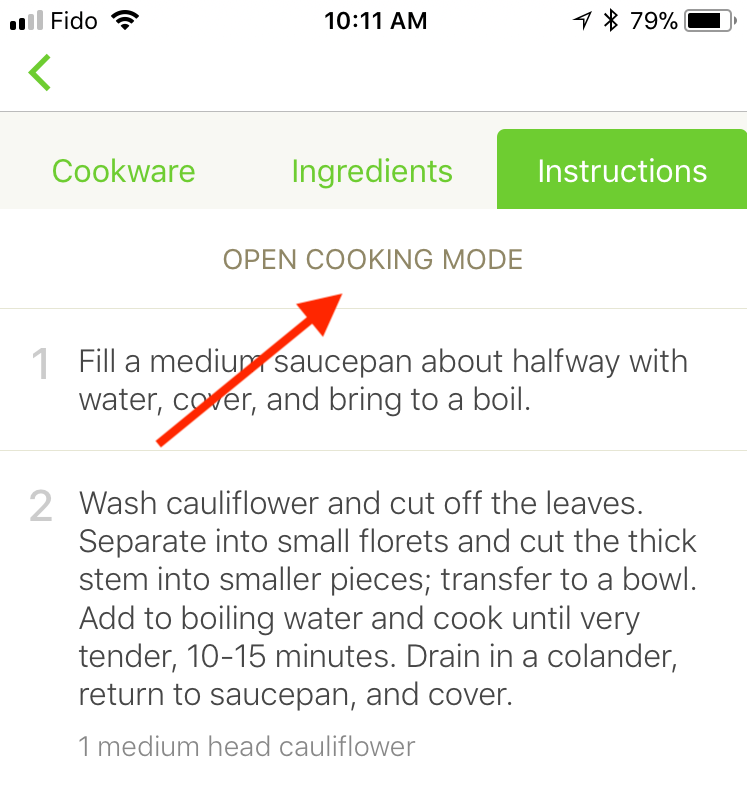 Cooking mode allows you to focus more easily on each instruction. We've also set things up so your phone's screen won't shut off so you don't have to keep unlocking your phone with dirty fingers. Lastly, try "waving" your hand over the top of your screen! You'll find a magical "hands-free" mode that advances you to the next instruction without even having to touch your phone! 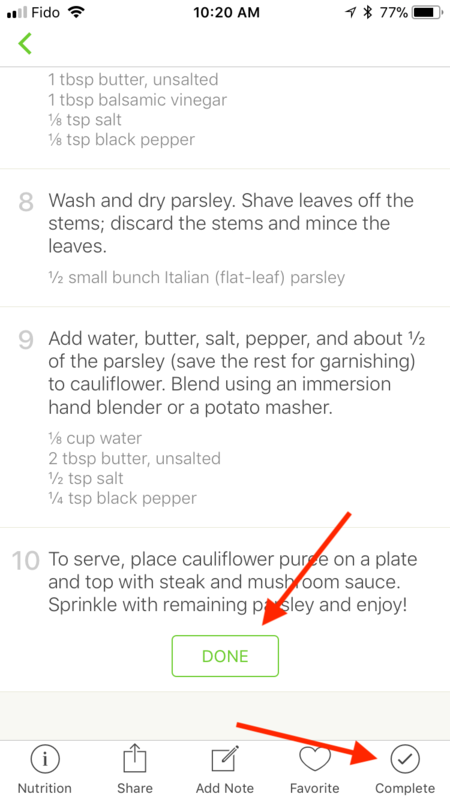 When you've cooked a recipe, it's important to mark it down as cooked in the app. Why is it important? Because research has shown that people are most likely to finish something that they've already started. 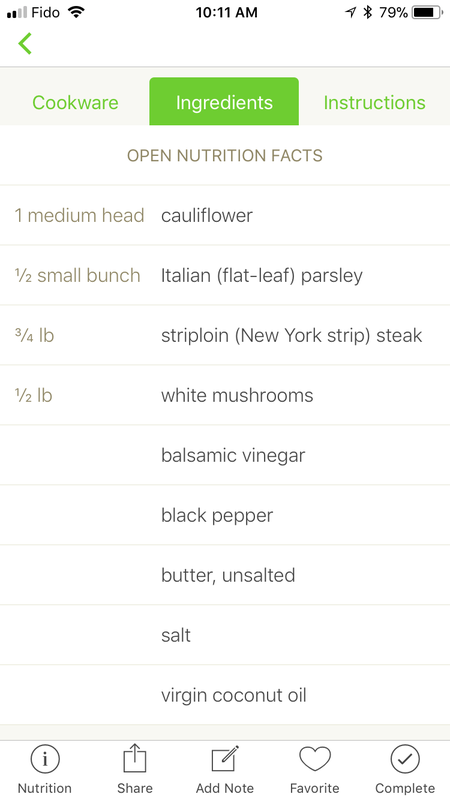 Marking a recipe as cooked will fade it out on the Meal Plan screen, thereby giving you a psychological +1 to cook the rest. 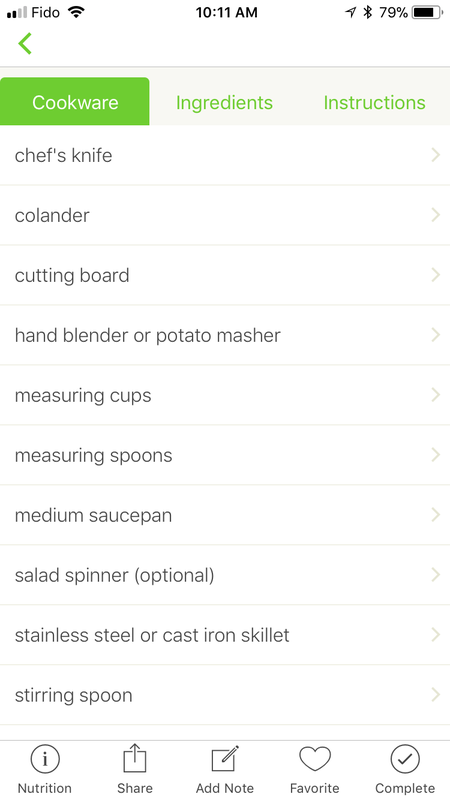 Under the Instructions tab, tap the button labelled Done. Or, tap Complete in the toolbar. 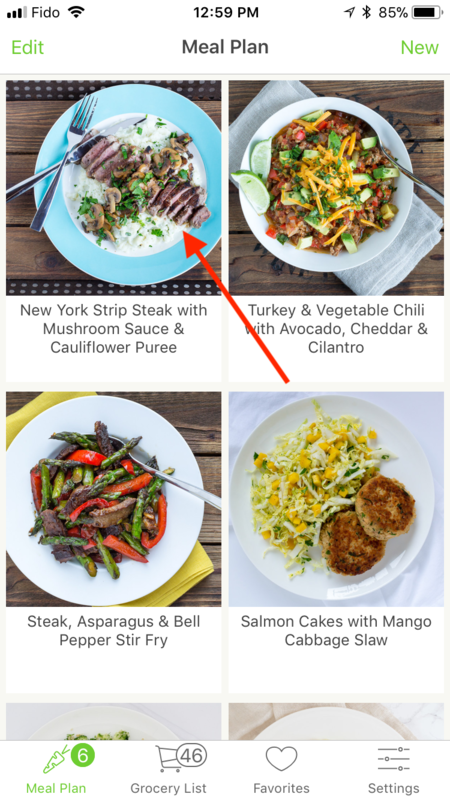 And when you've cooked all the recipes in your meal plan, the Build your next meal plan button will appear on the Meal Plan screen, giving you a slight nudge to start your next plan. We've found these small nudges a great way to help you build a consistent cooking habit, so we hope it works for you!